In a supply and demand environment a great deal of weight is often given to the ‘demand’ end of the bargain. But what if the wine in question is so rare that even a demand for one case is hard to satisfy? Each wine that Cult & Boutique Wine Management recommend could be seen as rare when compared to mass produced supermarket wines but some are considerably more rare than others. Identifying these rarities and, more importantly acquiring them in workable quantities, is something that we take pride in doing for our clients. In our opinion every client portfolio should aim to have at least one wine that fits this description, as these hard to find gems can often outperform everything around them. Here we run through a selection of our favourites that we have supplied to our client base over the years. This tiny Pomerol estate produces an average quantity of 250 cases per vintage and, if well received, has shown staggering rates of growth. The 2010 vintage was awarded a perfect 100 point score from Robert Parker and its value rose exponentially – and all of this in the middle of a bear market! The 2010 Violette managed to grow by 380% between January 2013 and now. You have to agree, it’s hard to ignore performance like that. Many of you will be familiar with Rhone Valley producer Jean-Louis Chave but you may not be aware of their top cuvee. The Cuvee Cathelin is only produced in outstanding vintages and to a quantity of just 200 cases. Held in extremely high regard by the worlds most respected wine critics, it is virtually impossible to source by the case. If you are ever lucky enough to be offered this wine, grab it with both hands and don’t let go! 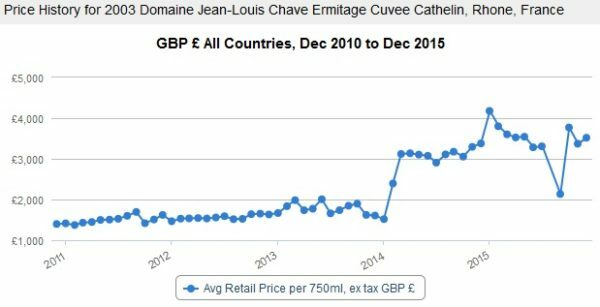 Between 2014 and 2016 the 2003 Cuvee Cathelin has shown 130% growth, during the same period the Liv-Ex100 fell by 8%. Pomerol’s Le Pin has no second wine but if you’re lucky enough, try and get hold of Trilogie, a non vintage blend of three declassified Le Pin vintages with a dash of Cabernet Franc, unlike Le Pin which is 100% Merlot. The name Trilogie is a reference to the blend of 3 vintages. Production quantities are not published for this wine but it is common knowledge that hardly any is produced at all, seeing as the total production from the Le Pin property is only around 400 cases a year. 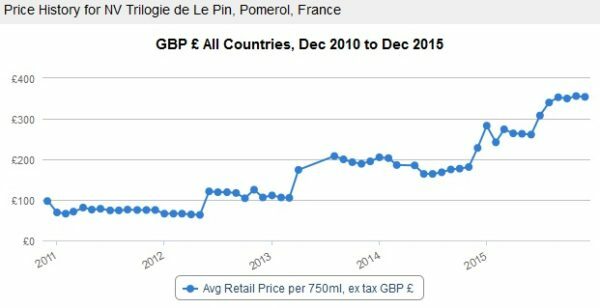 Trilogie de Le Pin has shown 218% growth over the last three years based on average 75cl bottle price. The lower production 1.5L magnums are even more sought after, due to the wine to air ratio in the large format bottles they mature more gracefully. Although these highly collectible wines have the ability to jump in value quickly, they really come into their own when held over the long term. 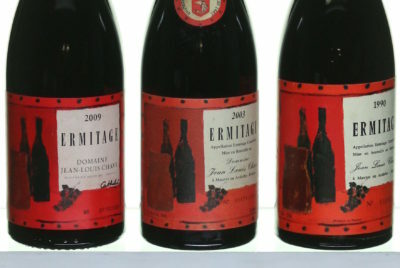 The more time that passes the more collectible these wines become and over an extended hold term of 15 – 20 years the results can be very profitable. For example, the 1992 vintage of Napa Valley’s Screaming Eagle was originally released at £195 per three bottle case. If you were fortunate enough to purchase the same case of wine today you would need to part with over £15,400. Appreciated, 20 years is a long hold period but with more and more Clients looking to understand and explore the benefits of extended hold terms we would argue that over 7,800% growth is a just reward for your patience. If you would like to discuss acquiring a wine of this rarity and the benefits of an extended hold period we will be happy to assist. Wine investments should be both profitable and enjoyable but as with any form of trading in commodities, risks will be involved and wine is no exception. The value of wine can go down as well as up. 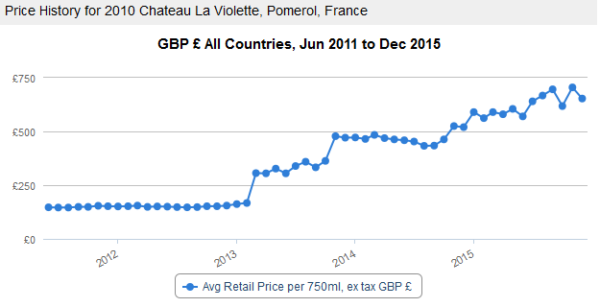 The wine market in the UK is not subject to regulation of the Financial Conduct Authority.